Nikon D5600 is the successor to the D5500 DSLR camera that was released almost two years ago. It constitutes a minor upgrade rather than a completely redesigned one. The new camera is lighter and comes with a frame advance bar for quick image reviewing. Like all recent Nikon cameras, it also connects to other devices using the SnapBridge app. 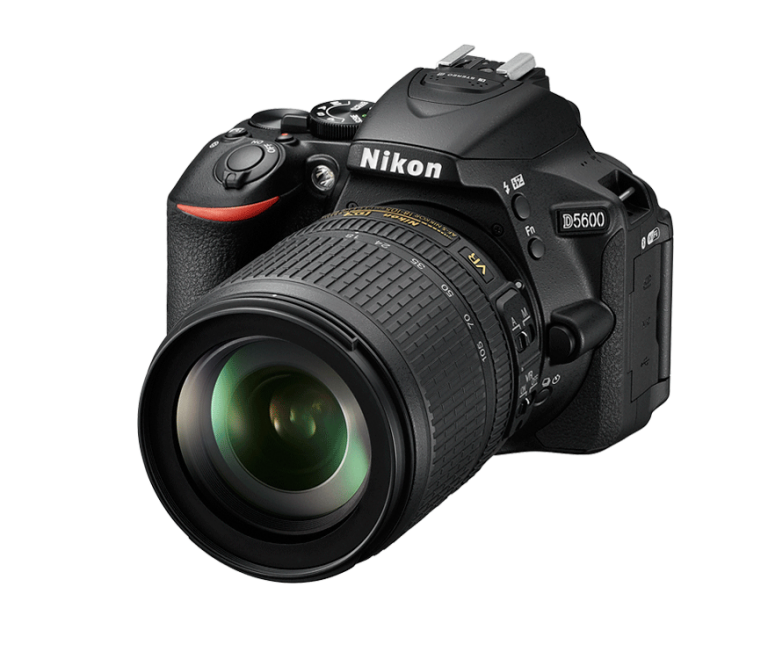 The newly released Nikon D5600 retains many of the specs and features found in the D5500 model. The 24.2 MP resolution, the ISO range if 100 to 25,600 and the auto-focus system with 39 focus points remain the same. There’s only one single SD-card slot and the LCD monitor is extremely adjustable using Nikon’s Vari-angle mechanism. So what new features have Nikon added to D5600? First, it has incorporated the frame advance bar that pricier models such as D500 and D5 employ. It’s useful for quick image selection and reviewing. Second, the time-lapse movie function enables several shots to be combined into a movie. Third, Bluetooth and NFC (Near Field Communication) enable connectivity with other devices like smartphones and tablets via the SnapBridge app. It’s also possible to automatically upload images to the Nikon’s photo sharing service in the cloud called Image Space. Hence, all your photos are stored in one place and easily accessible from any location. Image space is free for all owners of Nikon cameras. The Nikon ID plan offers 20 GB of storage. Nikon hasn’t communicated the price of D5600 yet. The predecessor D5500 launched at $1,050 and currently retails at $830 including freight. Thus, it’s likely that the price will be similar to D5500’s launch price given that it’s a minor refresh.